We’ve created our project. We have our designs and requirements handy. Now, a good way to start implementation is to incorporate the assets. 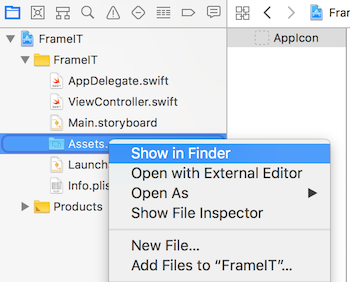 Assets, in terms of an Xcode project, are external elements that need to be incorporated in the project. 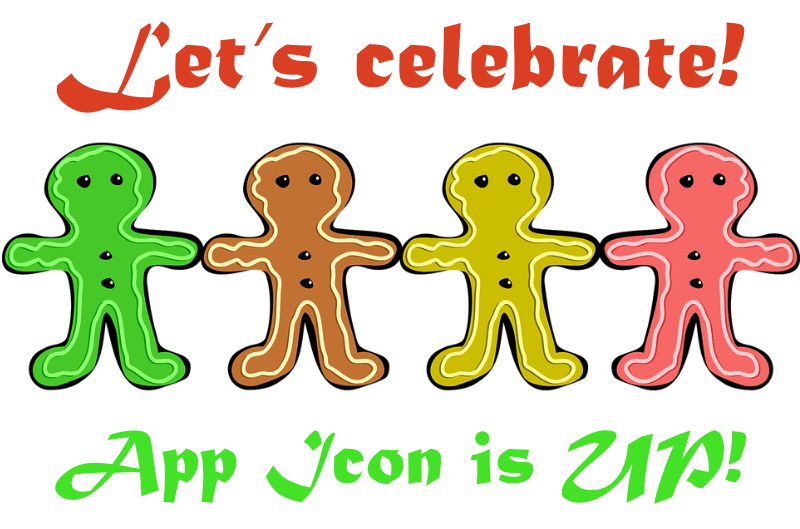 Some are required (we cannot submit an app to the App Store without them) such as an app icon. 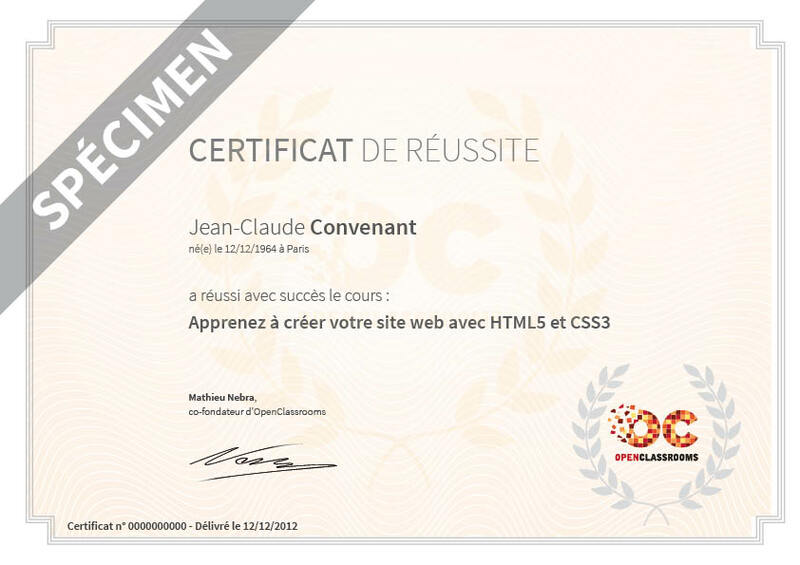 Other assets are optional (they depend on the app context), such as custom fonts or other images. Let’s start with the images. They are stored in a special file format with an extension .xcassets . Each project may have multiple image assets files. This is also where the app icon images must be supplied. Remember, the app icon images are mandatory for the App Store submission. 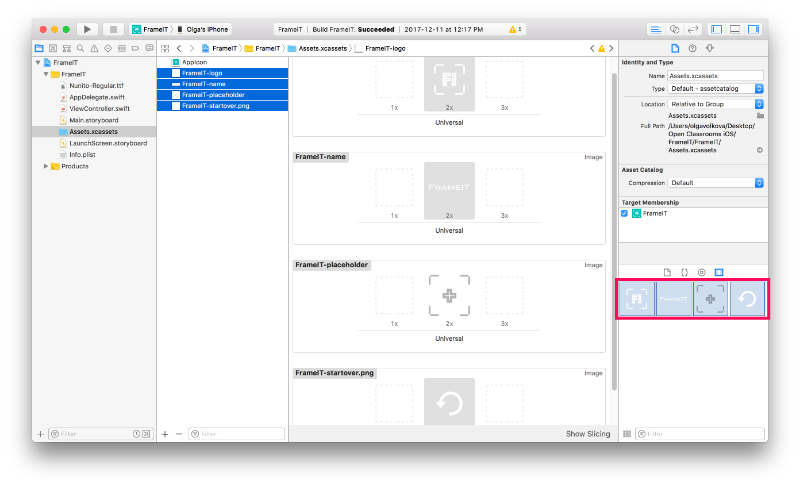 It also must have specific requirements for all the images, which is why Xcode provides placeholders for those images. Assets.xcassets is called the Asset catalogue. Component - Notification, Spotlight, etc. Relative dimensions: 1x, 2x or 3x. Let's review the last three further. 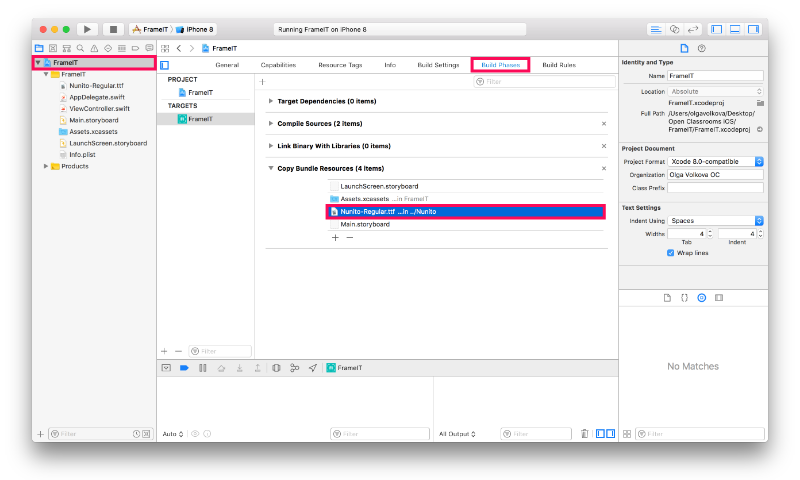 iOS settings are defined by the deployment target we choose for our app. The deployment target is the minimum iOS version we choose to support. This setting is specific to a sub-version. An iOS version refers to a major release that occurs every year, such as iOS 10, iOS 11, etc. 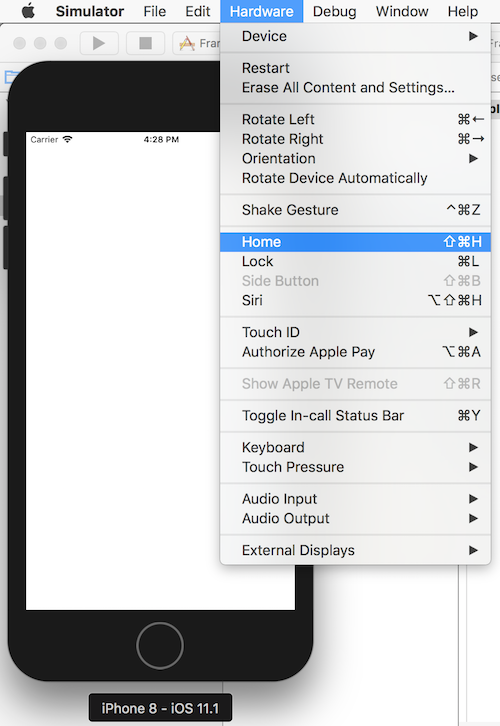 An iOS subversion refers to an update to a version, such as iOS 11.1.2. Choosing a sub-version may be critical as subversions typically include issue fixes that may be critical for app functionality. Different iOS versions require different image sizing. 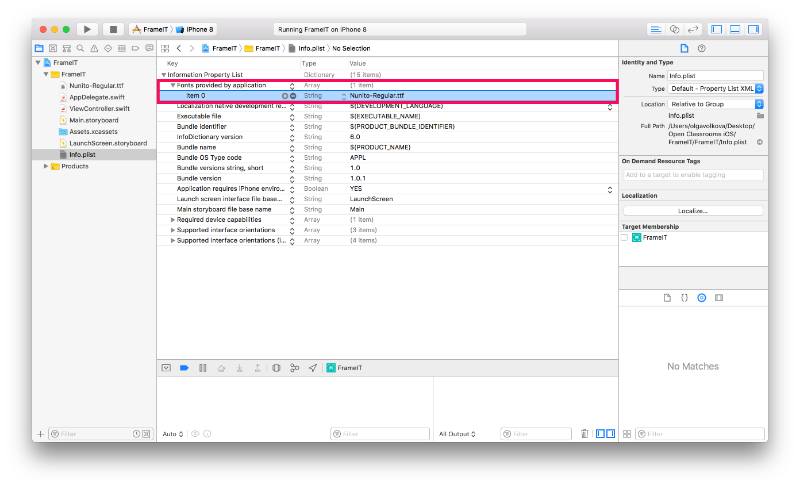 What iOS deployment target to choose? Apple recommends supporting the two latest versions of iOS (the current one and the one just before that). I recommend (if business requirements permit) to consider the target date for the app release. Sometimes, to satisfy business requirements we must support older versions of iOS far beyond the latest two. This is mostly applicable to large enterprise apps because they may be running on a vast number of older devices and it wouldn't be reasonable for the organization to perform an upgrade. The sizing for all visual elements, including images, in measured in points (pt). A point is an abstract measurement unit. It's relative to a particular context, for example, a device screen size. Points render to pixels. A pixel (px) is a basic square unit on a digital screen. A point is represented by a number of pixels on a screen. The number of pixels depends on the screen's physical dimensions and resolution. The more pixels per point a device screen displays - the better the quality of an image. 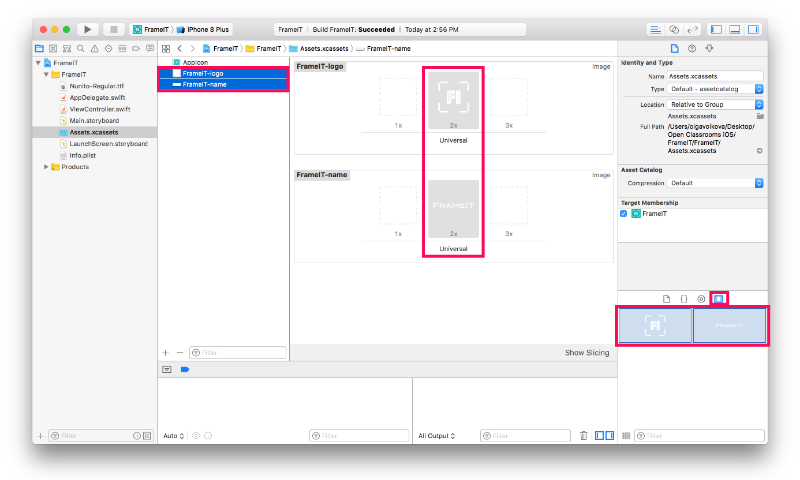 The important part is we only need to refer to images and other UI elements in points and let iOS take care of pixels. *iPhone 3 and 4 are no longer manufactured or formally offered for sale, but they are good examples to demonstrate how the sizing works. Resolution describes the size of a screen in pixels. As you can observe, the changes are not always proportional. Let's take a closer look at sizing in points and pixels. For the app icon, we have the size requirements listed in points. To maintain quality of the image, each device requires different physical size of an image in pixels. To provide an image for iPhone 3 (320 x 480 pt), we need to generate an image with 320 x 480 px. To provide a suitable image for iPhone 4 (which has the same display size of 320 x 480 pts) we need to generate an image 640 x 960 px - which is 2 times larger. To display an image on iPhone 8 375 x 667 pt, we need to supply an image 750 x 1334 px - also 2 times larger. To display an image on iPhone X 375 x 812 (same width as iPhone 8 in points), we need to supply an image 1125 x 2436 px - also 3 times larger. As we can see, the physical size of required images can be a number of times larger than the required size in points, in particular 1, 2, or 3 times larger. To describe those we use following labeling: 1x, 2x or 3x. 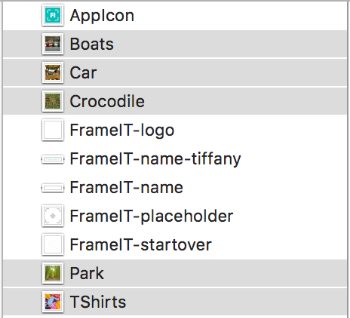 You can see this indicated for the app icons in our image assets file. Device displays that require images that render 2x and more is called Retina display. All currently available devices have a Retina display and there's no need to apply 1x images for our apps anymore. The only place where 1x images are still required is the App Icon for specific purposes - like Notifications etc. 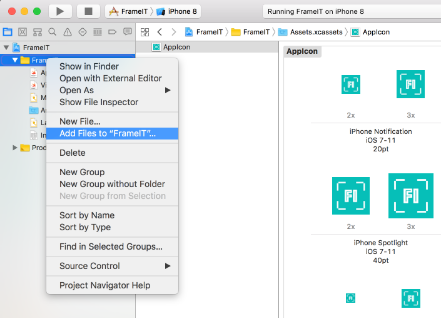 Even though the requirements change for the app icon depending on app configuration we choose - like iOS target for example, we have a cheat sheet help us navigate these requirements: the placeholders in our assets file. Let's review all of them and resize our original app icon 1024 x 1024 px to the required sizes. You may be getting the resized images from the design team provided you specified the required sizes. It's also better if they supply those as they may need to tweak the appearance of each image especially to accommodate smaller sizes. However, if the icon is relatively simple and can be nicely resized for all sizes, it can be easily done by a developer. Make sure you have all the sizes. You can use one of the services available online for quick resizing from the original 1024x1024, like appiconmaker. 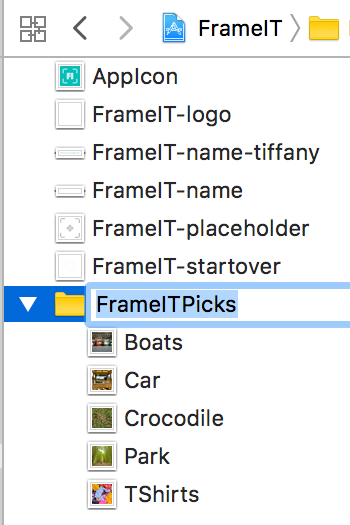 FrameIT app icon is set up! Make sure you've downloaded all the assets from previous chapter. Why did the images drop to the middle slot? This is not mandatory, because files with various names can be dragged onto the placeholders individually, however it's recommended in order to follow the established naming convention. What about other other placeholders: 1x & 3x? 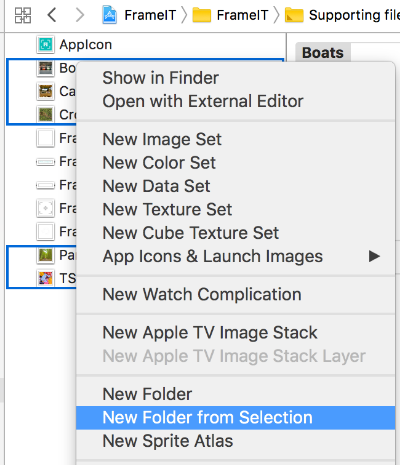 For images other than the app icon, if a specific image is not provided, iOS is going to take what's available and optimally scale it up or down. I'd like to offer a trick: during the development process, provide 2x images until all the designs are confirmed. This way, you only need to place the remaining images once before the final testing and deployment. This trick can be helpful if you are responsible for scaling the images. However, if you've already received them from the design team I encourage you to include them right way. You can observe that the newly added images also became available in the Media Library on Utilities panel. 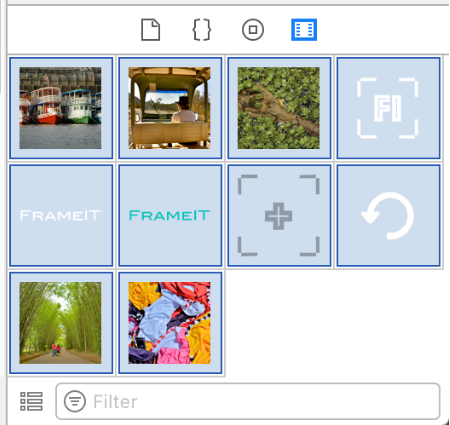 The last step for setting up images is going to be adding the 5 custom photos to use as local image selection when the user chooses 'Random' option. Another important element for configuration and customization of a project is Property Lists. Those are files with extension .plist . This is where we configure fonts and various parameters of an application. Each project may have multiple property lists. By default there's always one plist file included and we are going to use it to add our fancy font. Fonts are commonly distributed as TTF (.ttf) or OTF (.otf). 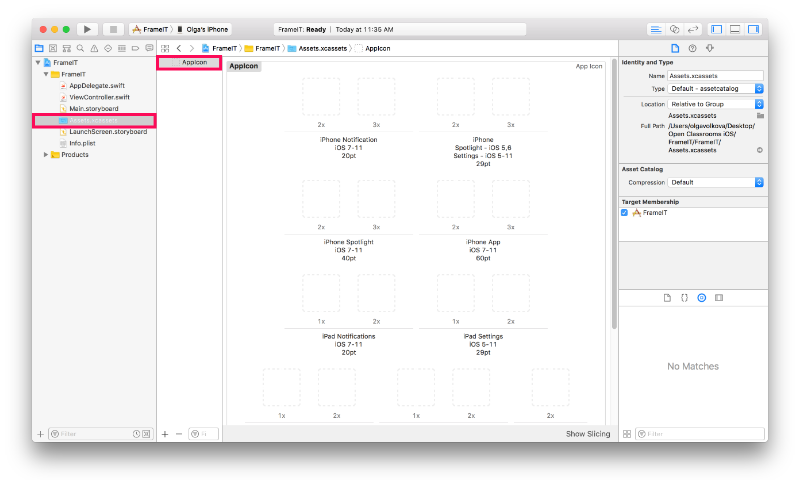 Those files need to be embedded into your XCode project in order to display text on the app screens. 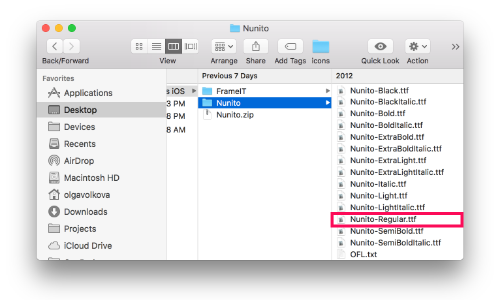 We'll need only one file for our design: Nunito-Regular.ttf. Always make sure you have the proper font license for mobile/app embedding. 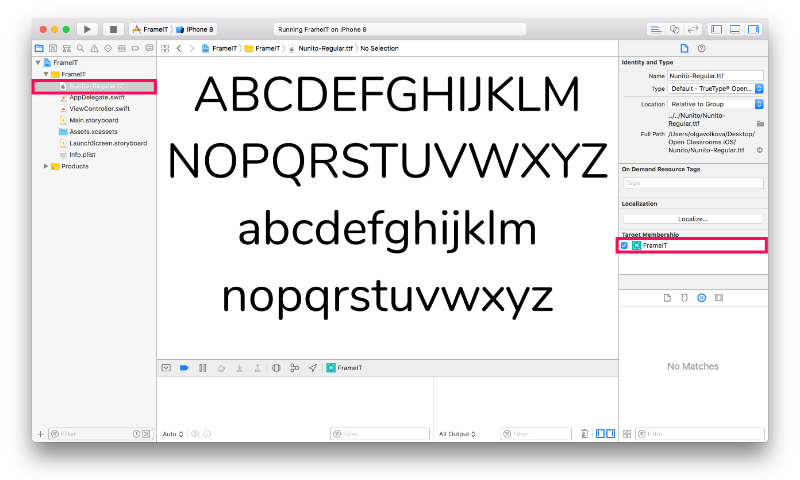 Embedding font files includes a couple of steps. Likely in your projects you'll be needing more than one variation of each font, such as Bold, Italic, Light, etc. You'll need to add each files you need to your project the same way we are doing it for this single file. All done! Now we have to trust it works and will test it shortly! The actual image size is described in pixels and is a multiple of point size: 1x, 2x and 3x. 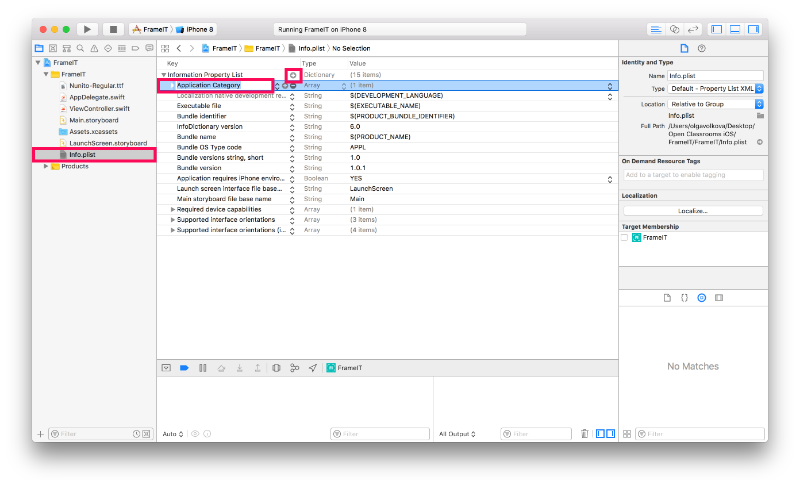 Property lists are configuration files with the extension .plist . 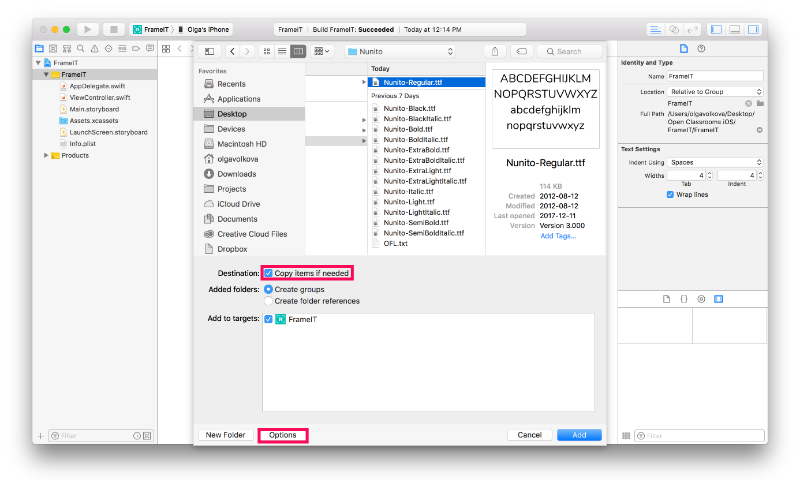 Adding custom fonts to an application is done using plists. 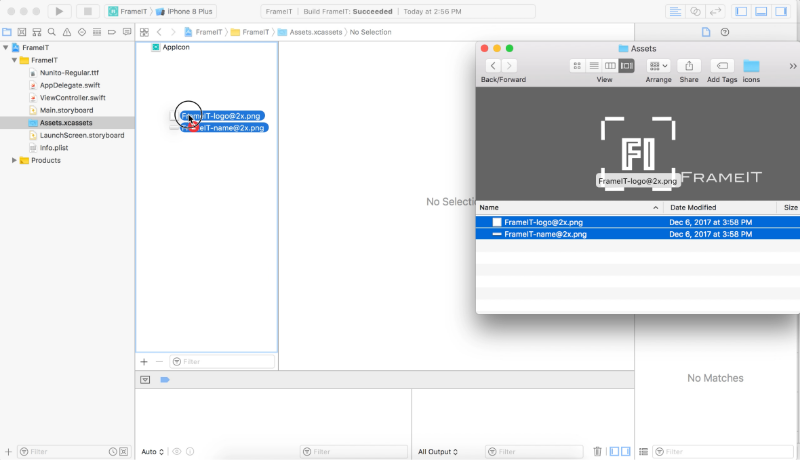 An app can have multiple image assets and plist files.